Do ethical leaders get ahead? Do they get results? Should you really trust someone who says “Just trust me”? When does a leader’s kindness backfire? 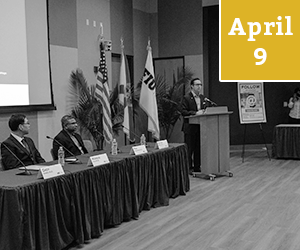 Three globally recognized Florida-based scholars will each briefly share leading insights from their research on these topics – with an emphasis on both the research findings and the implications for leaders. The Leadership Research Colloquium provides a forum for leading experts and faculty to present developing, extant and cutting edge new research as it affects leadership in organizations and in our communities. The colloquium features the work of the recipient of The Center’s prestigious Alvah H. Chapman Jr. Outstanding Dissertation Award and hosts faculty members from other universities. Cecily Cooper is an Associate Professor at the University of Miami School of Business. Her research interests include trust, humor, fairness, and leadership. This research has been published in many leading management journals and has received three national conference awards. Cecily has a keen interest in creating close partnerships with organizations when conducting research and focuses on providing value to these organizations. Cecily serves on the editorial boards of the Academy of Management Journal, Academy of Management Review, Organizational Behavior and Human Decision Processes, Human Relations (Associate Editor), and Journal of Trust Research (Associate Editor). She has co-authored a textbook, Mastering Organizational Behavior (14thedition), that was published in May 2017. In both 2014, 2016, and 2019, Cecily served as a program chair for the International Conference on Trust in Organizations (FINT). She is also a member of the FINT Executive Board. At University of Miami, Cecily has taught in the undergraduate, MBA, Executive MBA, and PhD Programs. She received her B.S. from the Warrington College of Business at the University of Florida and her Ph.D. from the Marshall School of Business at the University of Southern California. Cecily is originally from Gulf Breeze, Florida and currently resides on Miami Beach with her husband and twin daughters. In this research we examine how front-line employees develop trust in a new executive leader. The preponderance of research on trust development focuses on close relationships and, in doing so, fails to clarify the processes that will influence the development of trust in a distant leader whom employees cannot directly observe. To investigate this phenomenon, we collected data from front-line employees and their direct supervisors at two points in time in an organization that had recently experienced a leadership succession event. Results suggest that supervisors play an instrumental role in shaping how employees develop trust in an executive via two unique processes, trust transference and social influence. Notably, we also observed a negativity bias in that supervisors who had less trust in the executive leader tended to have more influence on employees than those who had more positive views of the leader. The present research contributes to our knowledge of trust development in organizations by conceptually refining the notion of supervisor trust transference and testing it alongside the similar but distinct process of supervisor social influence. Taken together, these processes illuminate how employees form trust judgments of distant leaders and the inherent connection between supervisors and executive leaders as two key referents of trust. Craig Crossley is an Associate Professor of Business Management at the University of Central Florida. Prior to joining UCF, Craig was a Senior Manager at a Top 100 private company, where he worked directly with executives on company-wide initiatives. Based on his ability to bridge research and practice, Craig has developed innovative partnerships that have resulted in multi-million dollar marketing and sales strategies with clients including several Fortune 500 companies. For instance, while working in corporate strategy he led a major culture change initiative around product innovation, and implemented a company-wide strategic scorecard. In his role in organizational effectiveness he helped determine the impact of human capital practices on firm financial performance, aiding pivotal financial decisions during a turbulent economy. In sales strategies, he leveraged real-time data to aid consumer insights and salesforce management decisions. Prior to his service in corporate America, Craig taught at the University of Nebraska and worked at The Gallup Leadership Institute where he helped design and evaluate leadership development programs for government and business organizations. Craig has recently been awarded a Fulbright Scholarship and is aiding the Republic of Ireland in their efforts to expand the globalization efforts of small and medium size enterprises as they navigate the post-Brexit economy. His research centers on leadership, trust, and ethics, and has been presented at international conferences and published in journals such as Academy of Management Journal, Human Resource Management, Human Relations, Journal of Applied Psychology, Journal of Organizational Behavior, and Organizational Behavior and Human Decision Processes. Does ethical leadership really matter? This presentation will review three recent studies that provide new insight into whether leaders who behave ethically can have a positive impact on employee ethics, company performance, and their own career outcomes. Because the work environment is a complicated place, these effects are neither simple nor direct. Thus this program of research integrates advances in research methods to provide a more nuanced understanding of when and why ethical leadership can have a bottom line impact. Findings and their practical applications will be of value to both researchers and managers who are interested in growing their business, and their career, based on moral principles. As an academic, Dr. Hiller's focus is on understanding the strategic implications of executive personality, as well as enhancing the way that organizations build their leadership pipeline. Nathan’s research has appeared in most of the top journals in the field of management, including the Academy of Management Journal, Strategic Management Journal, and The Leadership Quarterly. He holds editorial board positions at the Journal of Applied Psychology and The Leadership Quarterly, and has won several research awards. As a consultant, Nathan has led projects and consulted with organizations such as: Boston Scientific, Hewlett Packard (HP), the US Secret Service, Bacardi USA, Norwegian Cruise Lines, and The Centers for Disease Control (CDC). In his role at the Center for Leadership, Nathan oversees the academic content of all leadership programs, and is the Faculty Director of The Senior Executive Leaders Program, The High-Impact Leadership Program, and an internal FIU program geared for senior leaders of the university. He is the primary author of The Center’s Leadership Competency Builder, which forms the backbone of all Center programming. Nathan has held visiting faculty appointments at Cornell University and the University of Washington, and has taught a graduate leadership course at Fundação Getulio Vargas (FGV) in Rio de Janeiro. Nathan loves to travel and draws regularly from his experience living in four countries on three continents in ten cities. He received his Ph.D. from The Pennsylvania State University. One form of leadership that gets quite a bit of attention outside of the U.S. is called ‘paternalistic leadership’ – which occurs when leaders think of their role as a well-intentioned authority figure. Indeed, many people in South Florida also recognize this in bosses they’ve had. But is it effective? In this presentation I’ll discuss the pros and cons based on our groundbreaking new research. 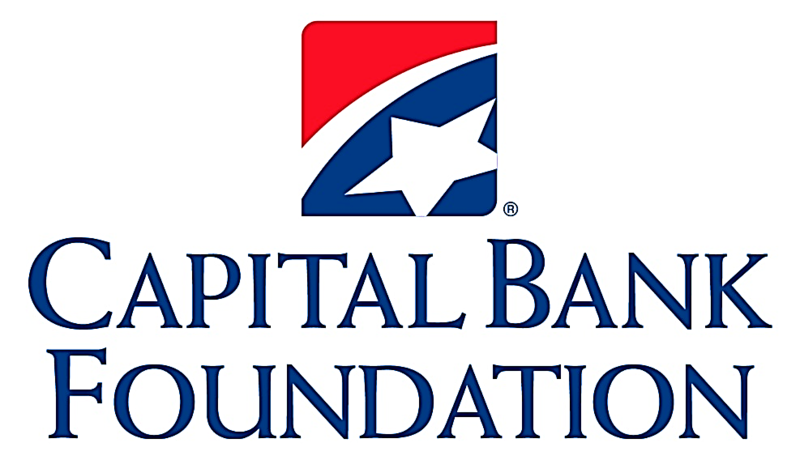 Special thanks to Capital Bank Foundation for their support.